Producing graffiti events and aerosol installations, the creative aerosol agency End of the Line was founded by Jim Vision and Matilda Tickner-Du. With past clients like Red Bull, Capcom, and Sony, they've also worked on projects such as the Lovebox Weekender and Bestival. 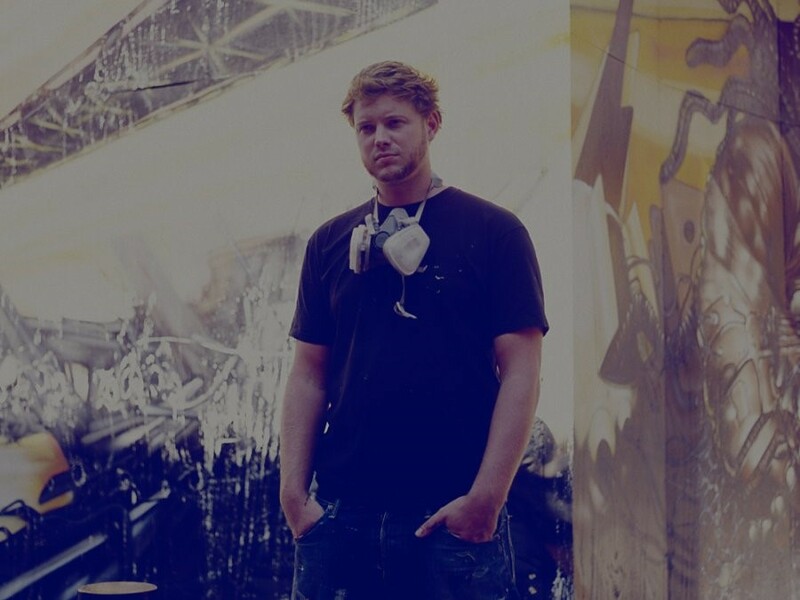 Jim Vision is also an acclaimed aerosol/graffiti artist himself. For the third year running, their End of the Line 'jam' will be hosting the 2010 British Edition of Meeting Of Styles; the biggest graffiti and aerosol event in the world. Their new location since moving from last year's Brick Lane block party will be a venue providing more space for the opportunity to invite even more artists from across Europe to collaborate on numerous oversized walls for London 2010. This event is the biggest of it’s kind to bring artists from across the world to create large scale art, inviting the likes of French graffiti artist Dran from the Da Mental Vaporz crew. The “International Wall Street Meeting” - Meeting of Styles (MOS) welcomes aerosol artists and visitors from Europe and the rest of the world to enjoy the creative process of art, providing a focal point for urban street culture, and a platform for aerosol art to reach the larger community. The Meeting is a peaceful event in a spirit of creativity and exchange. The original MOS was founded in Germany and has a worldwide reputation and respect because of its message and authentic style. Following enormous positive response in 2002 the organisers were inspired to spread its message all over the world, which led to the birth of the “International Meeting Of Styles”. Since its foundation, more than 70 events have occurred, reaching more than 120,000 spectators throughout the world! Highbury Studios, 3 Hornsey Street, London N7 8GR. For more information contact Ashley Wogman on aw@ags.uk.com. On the 20th and 21st of August, 2010, a schedule of all day painting events and an opening night gallery exhibition will be open to showcase and celebrate the collection of works.